Berry pickers killed crossing canal. CLEWISTON, Fla. -- Two people have been found dead in a body of water in Clewiston from drowning. 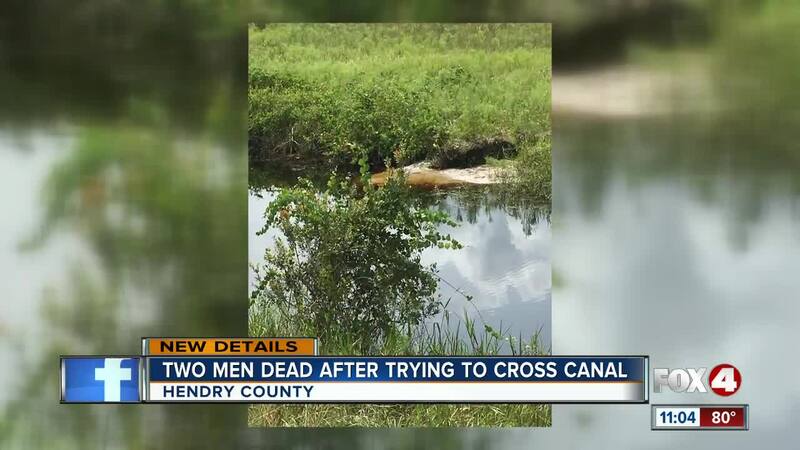 Hendry County Sheriff’s Agricultural Deputy received a call reporting that two men had been pulled from a canal off of Dooley Grade, in southeastern Hendry County. The two men, later identified as Manual Santiz Lopez and Jose (Joel) Lopez Gomez, were part of a berry picking crew who were legally harvesting the berries with a permit. Witnesses lost sight of the two men as they were attempting to cross a canal. Both men were pulled from the canal and attempts to resuscitate them were unsuccessful. Family members have been notified.